Among the more memorable disasters in human history is the Hindenburg fire and crash, which took place in 1937. The fact that the airship disaster, which took the lives of 35 passengers on board was captured on camera likely contributes to how well the incident is remembered decades later. 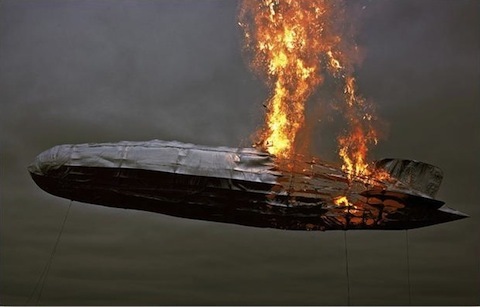 One of the images of the burning craft was even further immortalized by gracing the cover of Led Zeppelin's debut album. But to this day, the cause of the fire is still unknown. But there are theories, and Discovery's Curiosity is aiming to explore some of those theories in an episode that will air later this month. "What Destroyed the Hindenberg" will have Curiosity's investigators exploring three of the popular theories as to what caused the Hindenburg to crash on May 6, 1937. In the most ambitious testing program ever undertaken, CURIOSITY attempts to crack the mystery by recreating the disaster. “We’re examining and testing every hypothesis in the lab, selecting those that are scientifically possible and taking them outside to test on our huge scale models,” said Steve Wolf, one of the lead CURIOSITY investigators. "Testing on this scale has never been attempted." It should be interesting to see what findings they uncover and whether the special manages to come to some kind of conclusion. From a scientific perspective, I can certainly see why Curiosity would be interested in looking into it, when considering the unsolved mystery of the ordeal. From a viewer perspective, beyond the mystery of the disaster is probably the morbid curiosity that comes with trying to learn about and understand any major catastrophe in history. Plus, zeppelins are kind of cool and it looks like these investigators are going do some interesting things with their models. 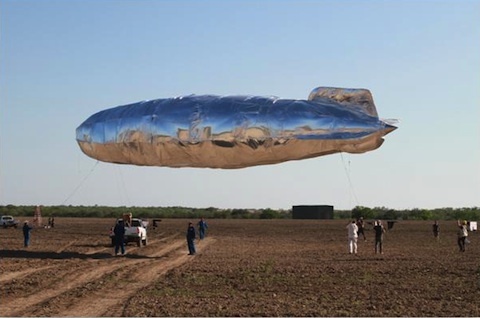 Curiosity's “What Destroyed The Hindenburg?" airs Sunday, December 16 at 9 PM E/P on Discovery Channel.